This article is part of a mini-series celebrating the first-ever Black PR History Month, showcasing individuals of color and the influence they’ve had on the public relations industry. Read more here. This month celebrates the accomplishments of African-American innovators, visionaries and revolutionaries who have paved the way for modern society’s most impactful advancements. Today we pay homage to Terrie Williams, public relations practitioner, licensed psychotherapist and motivational speaker. 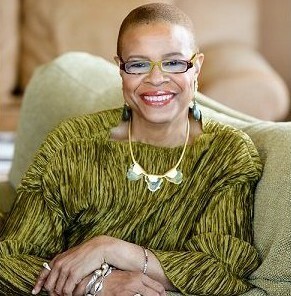 Williams became the first African-American woman to receive the New York Women in Communications Matrix Award in 1996. She was also honored with the Vernon C. Schranz Distinguished Lectureship at Ball State University, which had never been given before to a person of color, and the “Women of Courage” Award, given by the Emmett Till Foundation. Her dedication to the public relations field began in February 1988 when she founded The Terrie Williams Agency, the public relations firm that would become the foundation of her many accomplishments. She began by representing well-known entertainers, such as jazz musician Miles Davis and actor Eddie Murphy. Since then, Williams has not only continued to manage several famous celebrity clients, but she has also taken on work for various Fortune 500 companies such as Time Warner Cable, Essence Magazine, HBO and NBCUniversal. Her most recent accomplishments include the success of the campaign “Healing Starts With Us”, which was created under the Stay Strong Foundation to inform and engage audiences about mental health issues and the stigmas related to mental health that are prominent, primarily in the African-American community. This campaign led to a collaboration with The Ad Council and Substance Abuse and Mental Health Services Administration (SAMHSA), which generated 11 million media impressions and received $3 million in donated advertising space. Terrie Williams has embraced the public relations field and used her mastery of its practices as a way to tackle mental health and wellness issues. More information on The Terrie Williams Agency and any published works can be found here . Lauriane Abbey is a senior majoring in strategic communications with a professional writing minor at The Ohio State University. She enjoys chatting on social media and following the news on her Flipboard app. She loves learning to cook, going on adventures with friends and taking walks around campus. Follow her on Twitter @Lauriane_Abbey.